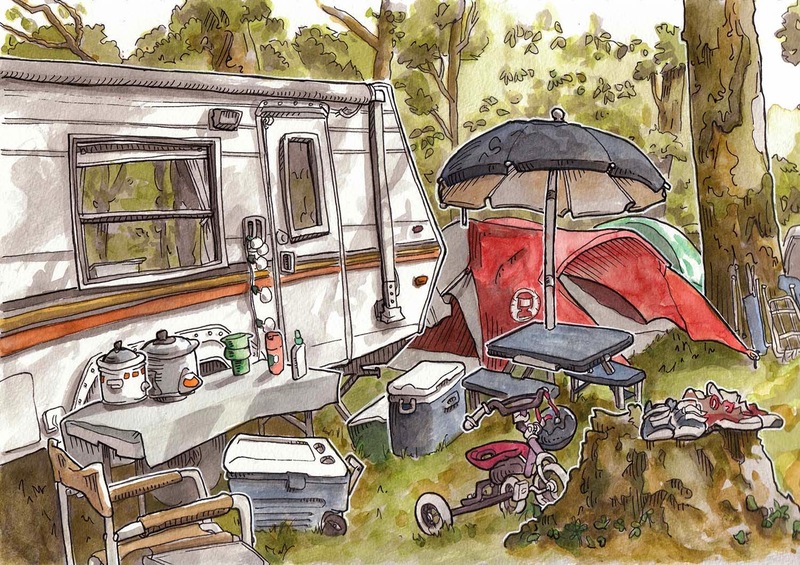 I drew the first sketch of my cousin's campsite while seated next to a smoking fire at our family reunion on Green River. 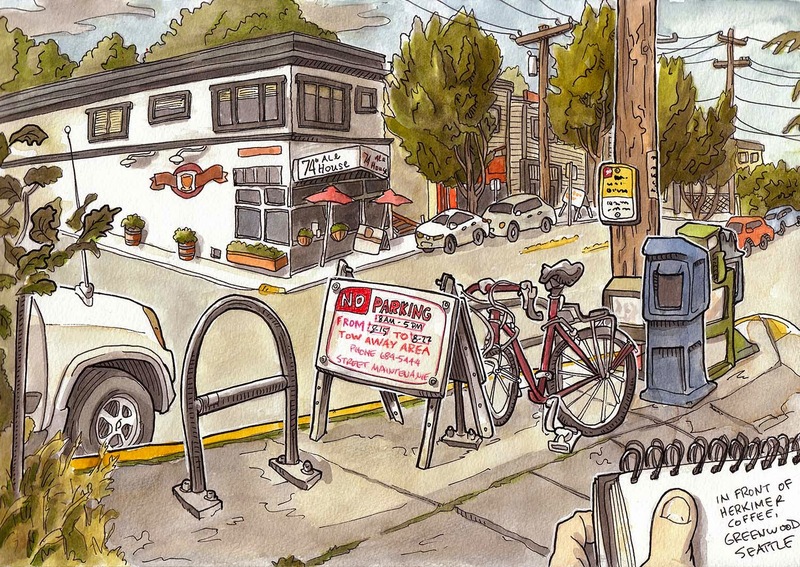 Then yesterday I painted the view from in front of Herkimer Coffee on Phinney Ridge. After posting them, I was struck by how, as tiny thumbnail images on my phone, similar in composition and color they are: the heavy right side; the white left side; the tree and the telephone pole; the trike and the bike; the blue cubes. I guess my mind was kind of stuck on this particular layout.